If you want to save a kitten, remember to check-in with Swarm on your phone. Really. When Swarm, the app that evolved from Foursquare, relaunched mayorships it took a big step towards giving us all a reason to check-in at whatever venue, restaurant, or coffee shop we frequented. However, despite the promise of becoming Mayor of our local Starbucks, there will be many who couldn’t get back in the habit of performing that once-cool, sometimes almost automatic, action on our phones. Now though, it has teamed up with Alley Cat Rescue, a cats protection association based in Maryland, and every time you check-in using the Swarm app, parent company Foursquare will make a donation to it. It’s a global promotion too, so regardless of where you are in the world, your check-in will count. Foursquare’s donations will go towards Alley Cat Rescue’s mission to rescue cats, and then house and care for them, including vaccinations, microchipping, and getting rid of any unwanted visitors, such as worms and fleas. The scheme will operate from now until October 15, so you best start using the Swarm app right away. The more people that do, the better, because Foursquare will only donate $0.01 for each check-in, and has put a $10,000 cap in place. While the $0.01 amount may sound small, way back in 2011 — when Foursquare was a huge mobile deal — it saw three million check-ins each day. Today, that would mean it would triple its self imposed donation cap in a single day. If the idea of potentially saving a kitten isn’t enough to start checking in today (and if so, what’s wrong with you? 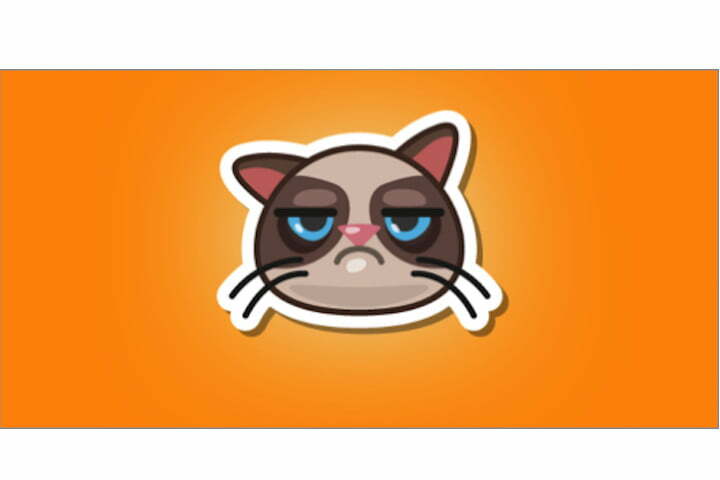 ), then maybe the chance to earn a limited edition Grumpy Cat sticker will do the trick? You’ll get the chance to unlock the cute sticker over the coming two weeks. You can download the Swarm app on iOS, Android and Windows Phone. Do it for the kittens.